Two thin steel calendered sheets of 2mm thickness compose this cylindrical bin with a 40 lt. load. Fuctional and extremely pure in its shape. 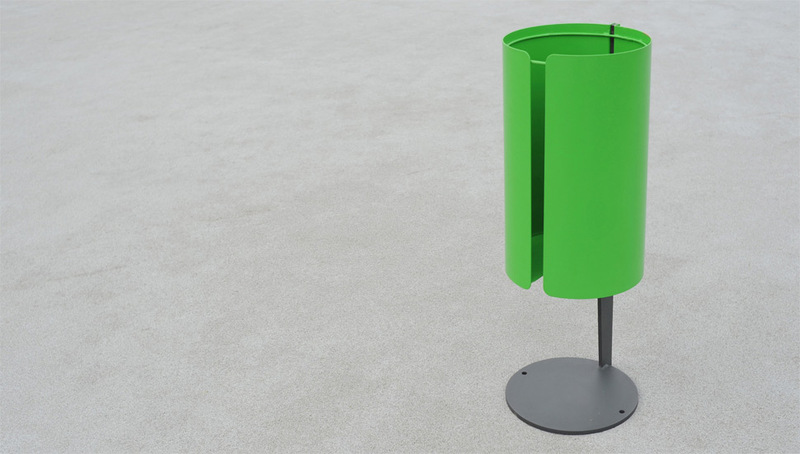 This bin can be supplied as freestanding with mounted on a steel structure with circular base to be fixed on the ground or pole mounted with fixing rings.